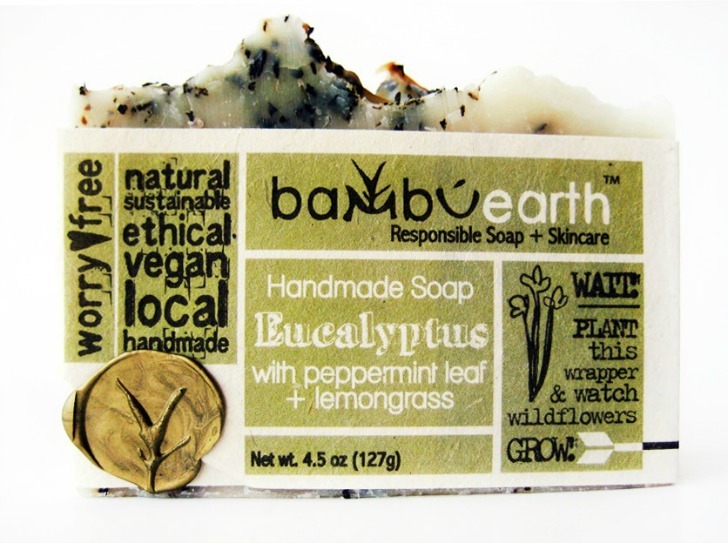 Bambu Earth is back with a whole new look. Their line of Responsible Soap + Skincare is packaged in handmade seeded artisan paper that grows wildflowers! Bambu Earth believes that what you put on your body is just as important as what you put in it; their packaging isn’t the only thing that their good at. Since our bodies absorb an average of 60% of what we apply topically, their soap and skincare only contains truly all-natural, raw wildcrafted ingredients and is completely free of synthetic junk that you’d rather not rub all over your body. We think that’s pretty awesome. Bambu Earth is back with a whole new look. Their line of Responsible Soap + Skincare is packaged in handmade seeded artisan paper that grows wildflowers! Bambu Earth believes that what you put on your body is just as important as what you put in it; their packaging isn't the only thing that their good at. Since our bodies absorb an average of 60% of what we apply topically, their soap and skincare only contains truly all-natural, raw wildcrafted ingredients and is completely free of synthetic junk that you'd rather not rub all over your body. We think that's pretty awesome.